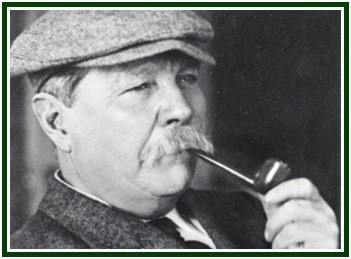 Even his creator, Arthur Conan Doyle, was unable to defeat Sherlock Holmes. At some point Doyle felt that detective stories had no real importance in his literary work. He wanted to write books of more significance. 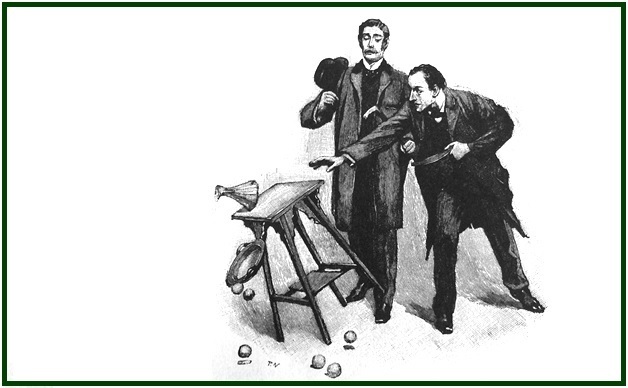 In an attempt to get rid of Holmes, Doyle described his death in a story, but the public rejected the idea. The pressure from readers and editors was so great that Doyle had to reveal in “The Empty House” that in fact Sherlock had not died – and new adventures started being published again. Sherlock is a private detective whose areas of personal interest are extremely varied and often paradoxical. He is an effective boxer, yet few can play violin like him. He practices baritsu (bartitsu), a British-Japanese martial art, but also spends sleepless nights making complicated chemical tests in the small apartment where he lives and works. His colleague John H. Watson described the working environment. “There were the chemical corner and the acid-stained, deal-topped table. There upon a shelf was the row of formidable scrap-books and books of reference which many of our fellow-citizens would have been so glad to burn. The diagrams, the violin-case, and the pipe-rack – even the Persian slipper which contained the tobacco.”  There is a great amount of newspapers and books. The fireplace is there. Living in the same building, Mrs. Hudson does the cooking and the housecleaning and opens the door to Holmes’ apartment. 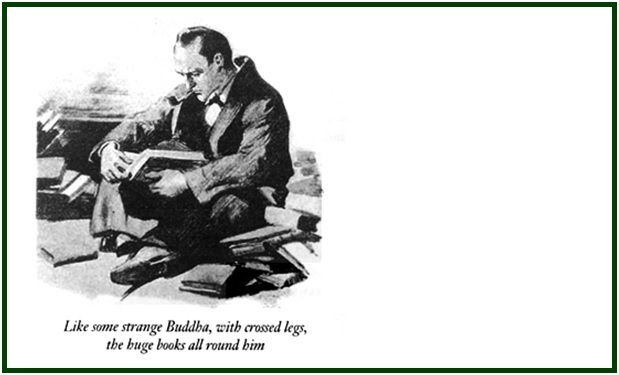 The detective reads ancient and religious texts. In the opening scenes of the story “The Golden Pince-Nez”, he spends a whole day examining the original text of a XV century palimpsest with a magnifying glass. The palimpsests are parchments whose texts the scribes used to erase, so that other documents would be written; but it is not impossible to see the previous texts which in some cases were scraped or washed off long before. Good sense complements abstract meditation. In an investigation, as in life in general, two decisive factors are carefulness and efficiency in the use of information. The investigator must speak little and know much. The practice of silence – a central tool in Sherlockian method – is equally important in the spiritual path and for the mental concentration of students of philosophy. Esoteric philosophy says there is a reason for keeping silent: intuitive thought consists of such a subtle sort of mental vibration that it is easily contaminated and broken when mixed with denser matter belonging to conventional thought – even when emitted by good-willing individuals. Therefore the “voice of the silence” must be heard in the temple of one’s heart. For this reason there are certain projects and ideas of which we only dare to speak once they have a certain amount of density and strength. Persons who are in harmony with us may be able at times to perceive our feelings with no need of words.